​The journey started for her 23 years back. But as you read this book, you will start your own Voyage towards Self-Discovery, Healing, Growth and Self-Enhancement. Record your own impressions as you read this book because it is not just the Story of Mona. It is the story of every individual who desires for Self-Discovery and Growth! The Book is Uniquely Informative yet Entertaining. Each Chapter ends with a ‘Aha Moment’ or what we rightly call as a ‘MonaVated Moment’. Do you lack inspiration in life? Do you want someone to motivate you? With the right understanding and approach, you can be your own motivator! 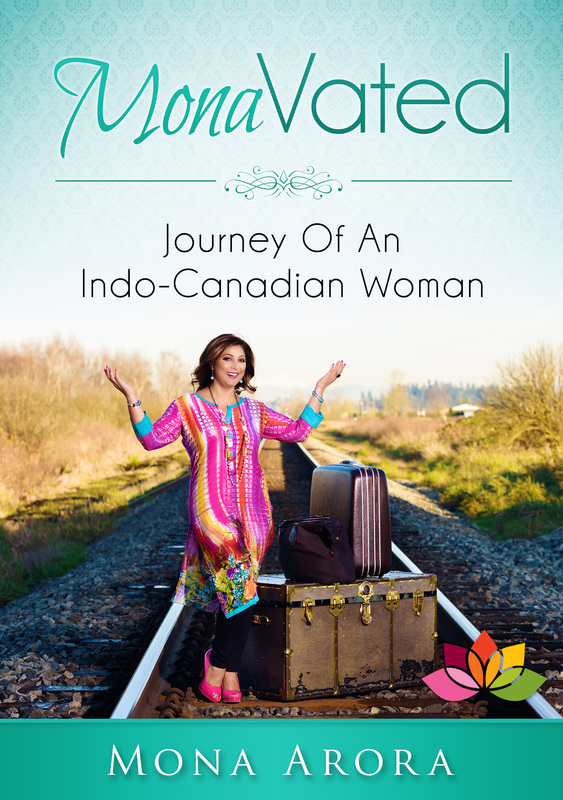 That’s what rising author Mona Arora tells you in her latest book “Mona-Vated”. Based on the author’s own life experiences, this book gives the readers a brand new perspective in life. According to Mona’s philosophy, each of us has the strength to take charge of our lives. But very few actually do it because of a lack of confidence and self-belief. “Mona-Vated” aims at showing you the way and helping you find the courage that pushes you to move forward. Read this book to get your life back on track! Skillfully planned and beautifully written, “Mona-Vated” intends to guide you through stages of healing, self-discovery, self-enhancement and growth. In over 27 chapters, author Mona Arora has discussed the various aspects of life that challenge us, and yet they are the ones that we can learn the most from. She believes that much like a Phoenix, we can rise from the ashes too. It’s time to forget past mistakes, regrets, or anything else that might be holding you back. If you are lost as to how you can do that, “Mona-Vated” will show you the way! And finally, with various motivation exercises, “Mona-Vated” helps you take concrete steps towards self-enhancement and growth. Filled with humorous anecdotes, dramatic moments, and heartwarming realizations, “Mona-Vated” is an interesting read. Each chapter will compel you to move on to the next, and as you move on, you will discover the answers to some of life’s biggest questions. Order your copy and begin a new journey! Mona is an Author, Life Coach, Law of Attraction Coach, Keynote Motivational Speaker, Personal & Professional Mentor and Corporate Facilitator. She has been living in Vancouver, Canada with her 16 year old son Paras for past 24 years. She has been featured in the book "Babes In Business Suits" which showcases the work and accomplishments of the world's top female inspirational entrepreneurs. Her articles can be read in many magazines. She has been featured on many tv and radio shows. Mona is member of several panels and also received an award for her powerful Corporate Program that teaches people to tap their innate potential and attain goals for Work, Business, Money, Relationships and Health. Mona encourages people to challenge their limits and supports them go through a process of self-actualization that makes them accomplish what they previously thought was unattainable. She strongly believes that we already have everything in order to be successful. Through her Workshops and Life Coach Programs she works with people to find their own genius and become their best self to live their best dreams. Because as William H. Johnson once said; “If it is to be, it is up to me”.